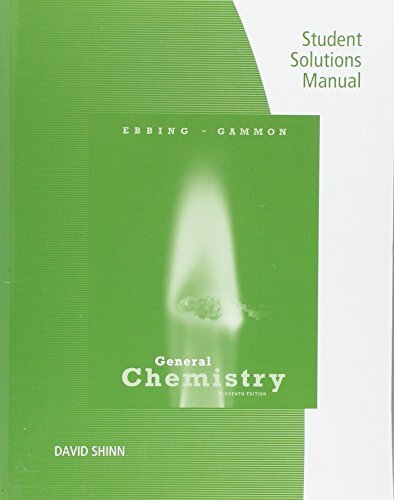 This manual contains answers and detailed solutions to all the in-chapter Exercises, Concept Checks, and Self-Assessment and Review Questions, plus step-by-step solutions to selected odd-numbered end-of-chapter problems. Steven D. Gammon is a professor of chemistry at Western Washington University and a leader in the development of multimedia-based software for chemical education. He has contributed greatly to the increased emphasis on conceptual understanding in the text.